If you look to the left you will see the muscles that lie on top. If you look to the right, these are the muscles that lie underneath. Look at this picture, can you identify exactly where your pain is? Actually, this will show you exactly how the shoulder blades. As this video is playing, put your hands on the muscles that are moving and do the movement yourself. Do you see how your own body works? The Antagonists: The ones partially causing the pain! These people will treat your injury by strengthening the surrounding muscles and rehabbing the injury itself. (PT’s out there, feel free to chime in here on what else you do!) They may treat you with various modalities including stretching, light weights, heat, ice, massage or electrical stimulation. If you have a real injury, this may help. Now, if you have an injury, you must get that rehabbed first, or get a doctor’s note to provide to your personal trainer letting them know exactly what is wrong and what you can and cannot do. If you are not injured, you may be suffering from either Overuse Syndrome or Muscular Imbalances, either of which can be helped by a personal trainer. I’ll weigh in as a musicians’ physical therapist! Thanks Diana for your comments and suggestions for readers. I’ll add your site and the artsmed.org to our blogroll–thanks again! Thanks, Angela, This post is really very informative for all who have been suffering up with this problem. 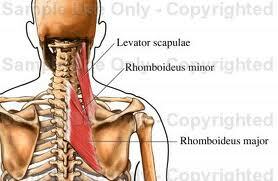 We can get to know about the cause as well as the solutions too for this very shoulder pain problem. Thanks so much for your comments Natalia, and I’m glad you found it helpful!